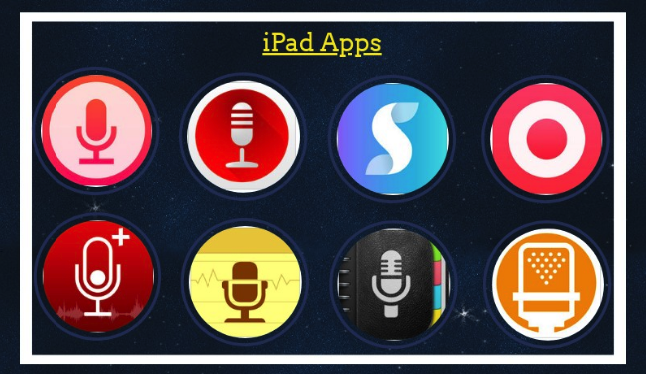 For those of you asking about audio recording apps to use on iPad, here is a list of some of the best options out there. Whether you want to record a lecture, an audio note, a memo, or simply capture ideas and thoughts as they happen, the apps below provide you with the necessary technology to do so, and in the easiest and most effective way. Check them out and share with us your feedback. In their review of Recorder Plus, iDB () featured Recorder Plus as one of their favourite audio recording apps. It provides a wide variety of features including:one touch recording, a user friendly interface, high quality audio recording, record and playback in the background and many more.